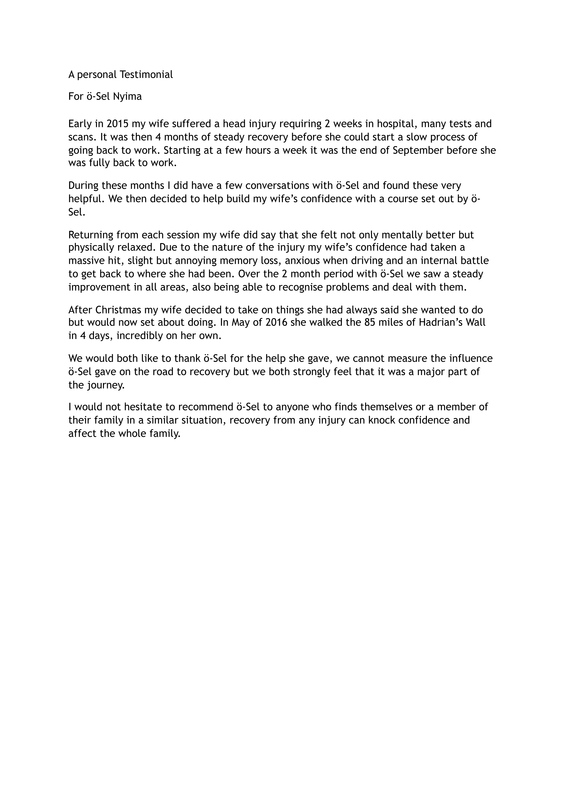 Read about how treating the right conditions with the right method has changed the lives of my clients - for good. 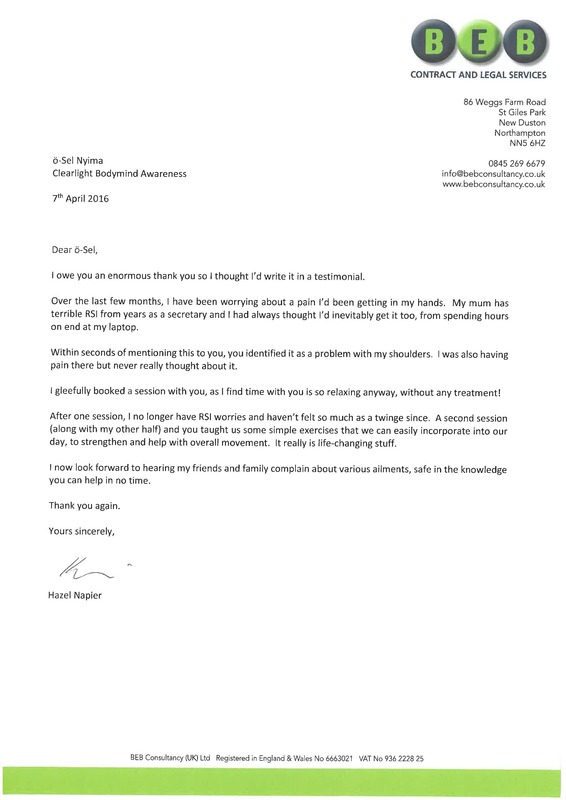 Using The Feldenkrais Method®, Pilates, The Sounder Sleep System™, The Embodied Life™ or the Change Your Age™ programme, I’ve worked with clients over many years, helping them towards a life free from pain and discomfort. 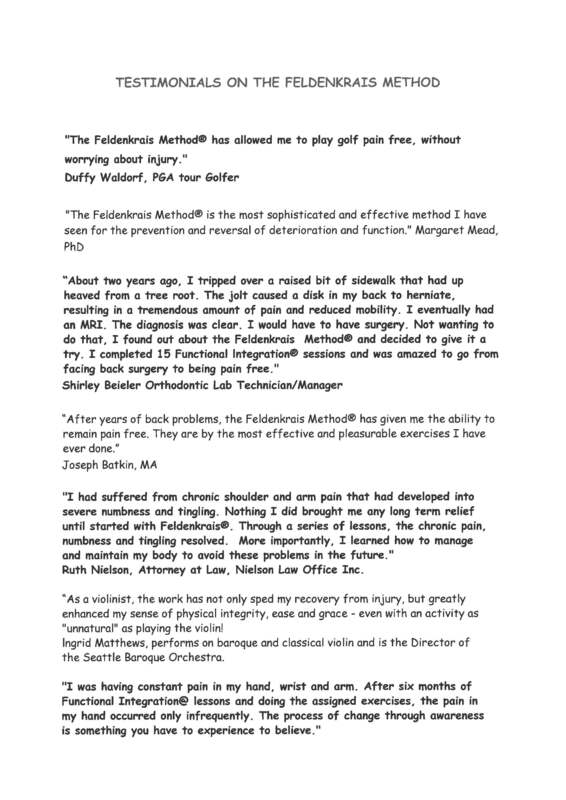 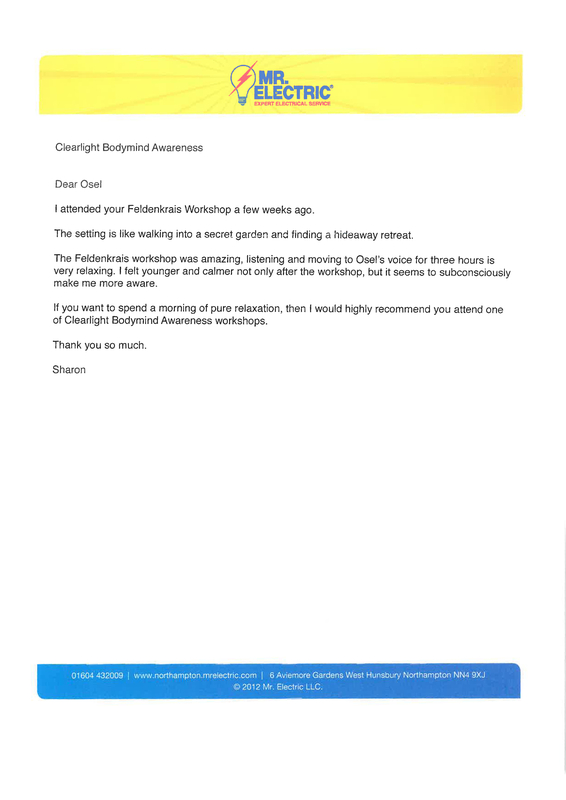 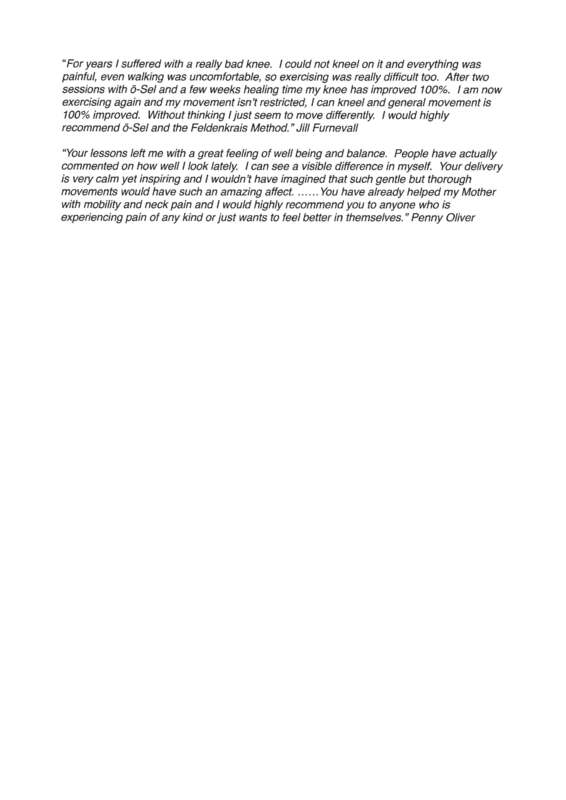 Please click on a testimonial below to view the full PDF.